As Boston is one of the oldest cities in the United States of America, it has enough museums to fit every interest and age group. 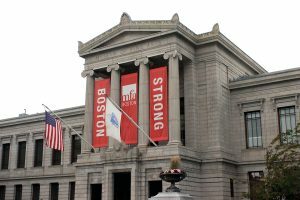 If you are visiting Boston, there are a handful of museums that you shouldn’t miss as they are the most beautiful, educational, and largest of the lot. You can spend weeks in these museums and you will wouldn’t have gone through everything they have to offer. Here is a list of 5 museums that you have to visit when you are in Boston. Probably the best biological science exhibit in the city, the Harvard Museum of Natural History has exhibits of the natural world. While walking through the museum, you will be able to observe an array dinosaurs, flowers, animals, and stones. You will also get a taste of culture that is sorted according to regions. There are various programs offered to families to keep them engaged. Kids will love walking by the fossils as there are detailed stories about them. If you want to remember your trip to this museum, you can visit the gift shop. Are you interested in coming face-to-face with a life-sized dinosaur? Talk a walk in the Museum of Science and you will be left speechless. You can visit the Electricity room where the world famous lightning show takes place. There is also a math room which makes mathematics fun and interesting to both adults and children. Go to the Omni Theater if you want to take a trip around the world or you can watch a show in the Planetarium. The museum also changes the exhibits regularly, making it the place to visit every time you come to Boston. The personal collection of Ms. Gardner’s former home is on display in the Isabella Stewart Gardner Museum. While going for a tour inside, you will be able to see the works of Michelangelo, Dante, Degas, Rembrandt, and other popular artists. Ms. Gardner’s passion for Dutch and Italian artwork is displayed in the galleries next to the courtyard. There are concerts and classes held regularly inside the museum for the locals who are interested in art and music. It is a beautiful place to spend your day. It is one of the largest museums in Boston. You can spend an entire day at the Museum of Fine Arts admiring ancient and modern works. There are artifacts and paintings from around the world on display. You can also eat in the museum as it has four dining venues. To top it all off, the museum hosts a wide range of events which includes art for kids, music, lectures, cocktail parties, and films. If a certain part of the museum was your favorite, you can pick up related items from the gift shop. As the city is home to the Boston Celtics, a visit to the sports museum is a must. Inside, you will find a life-size sculpture of Larry Bird, a Celtics legend. The museum also talks about the rich history of Boston’s top sports events and teams such as Boston Marathon, Boston Red Sox, Boston Celtics, Boston Bruins, and New England Patriots. As it is a part of the city’s heart, a visit to the museum is a must. There are more than 40 museums in Boston but the five discussed above are the ones to visit as they are exquisite and entertaining at the same time. If you’re interested in learning more, contact our Relocation Experts.